Mister Loveless has always made great videos; cool story lines that satisfy visually and nicely coincide with the lyrics and the vibe of their music. The Perez Brothers have directed what Mister Loveless can easily call their crème de la crème with this one. 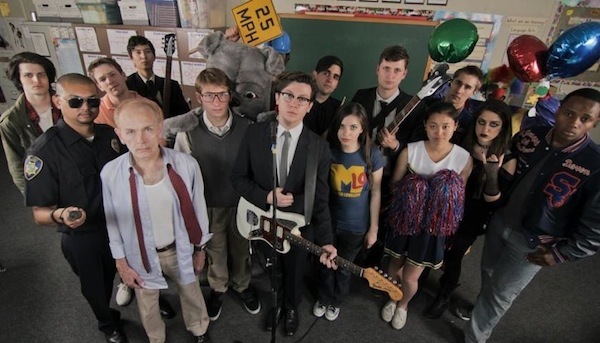 Channeling The Breakfast Club nostalgia, the video is the dream of everyone who’s ever been a high school student. Instantly fall in love with the lead character as you feel her familiar pain when the teacher, let’s call him Mr. Moody, snatches the headphones off her head in the middle of a clearly epic song, let’s call it “Wild Summer.” Don’t worry. Mister Loveless saves the day for everyone in the classroom, including Mr. Moody.